x 19-3/4” 2-3/4″. Fin set up is twin Futures boxes for traditional keels, mod keels or standard twins. 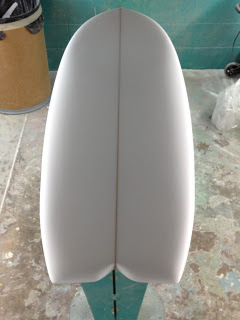 We have a couple of these mini-Simmons shapes as demos at the shop. Contact me if you’d like to take one for a test drive.